With 61 years as global leaders in the world of baby products, Chicco has perfected the art of the quality nursing item. Whether breast or bottle feeding, there’s no messing around when it comes to germs – and there comes a time when all moms will need to deep clean and sterilize feeding utensils and containers. Whether using the SteriNatural electric sterilizer or the conventional microwave sterilizer, Chicco has the solution with economical, practical and safe items. 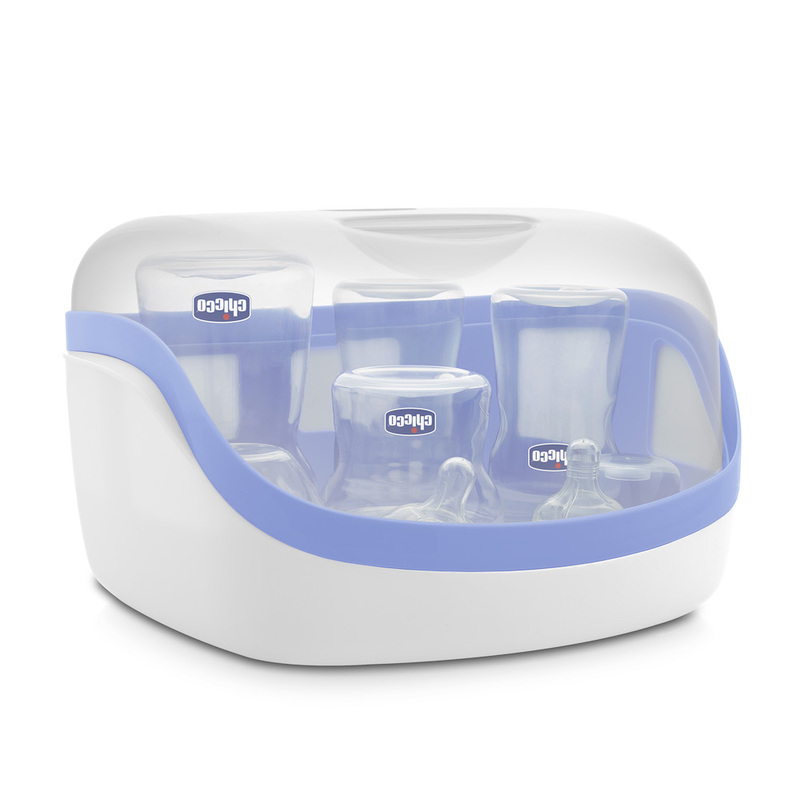 Both sterilizers use the properties of steam to thoroughly penetrate all nooks and crannies of your baby feeding items and obliterate germs. 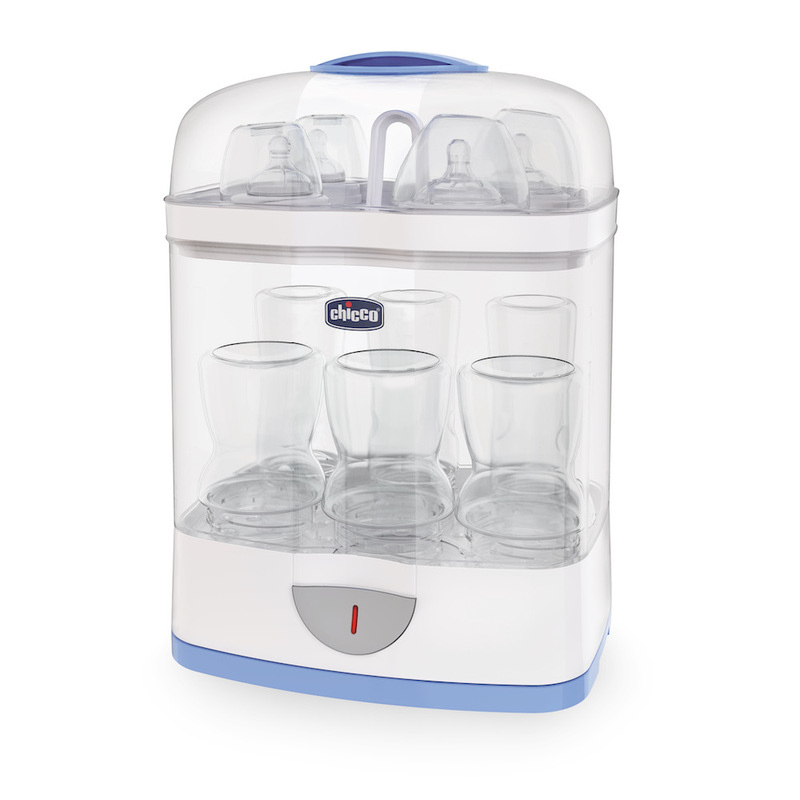 The electric sterilizer not only cleans feeding jars and containers, but can also sterilize items such as teethers, pacifiers and plastic toys. If it goes in your baby’s mouth, you can give it the ultimate clean. Both items have capacity and space for sterilization of several products simultaneously. Whether you’re expecting a newborn or already have a large family, sterilization is vital. Grab one today from Baby City, selected Kids Emporium stores, Takealot.com, Loot.co.za and other baby retailers.